What VC slowdown? 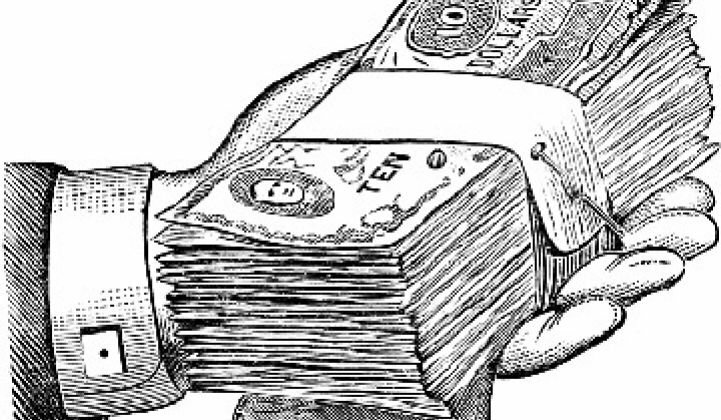 More than 40 solar, smart grid, efficiency, lighting, biofuels, wind and recycling firms raised more than $700M in VC in December. Plus, a surge in smart grid M&A. In the face of periodic eulogies for greentech venture investment, we submit to you our immense list of December greentech funding rounds. SolFocus, the Mountain View, CA-based concentrating photovoltaic (CPV) specialist, is due to close on a $50 million-plus Round D of venture funding in the coming weeks. $20 million of this still-open round comes from DSBJ, SolFocus' manufacturing partner in China. This brings the total VC funding for the company to more than $190 million. Calisolar of Sunnyvale, CA, a UMG solar cell manufacturer, raised $3 million out of a potential $5 million in a funding round, according to a regulatory filing. The firm has raised more than $150 million since its founding from Advanced Technology Ventures, Globespan Capital Partners, Good Energies, Hudson Clean Energy Partners, Ventures West, and Yaletown Venture Partners. French PV systems maker SolarQuest raised $1.5 million in a round B to to set up a PV distribution unit called Elesol with funding from Naxicap Partners and SCR Provencale et Corse. Clean Power Finance of San Francisco, CA, a provider of SaaS tools for solar installers, received an undisclosed amount of funding from Kleiner Perkins and Google Ventures. Sungevity of Oakland, CA builds software that lets it assemble and manage residential solar projects over the web. The startup raised a $15 million round of financing that will let it expand to additional solar markets in the U.S. Investors included Greener Capital, Firelake Capital and Brightpath Capital Partners. Abound Solar of Colorado is developing cadmium telluride thin-film PV modules and just raised $110 million in VC from Invus Group, Bohemian Companies, DCM, Technology Partners, BP Alternative Energy Ventures and West Hill Companies as a requisite to receiving a $400 million loan guarantee from the U.S. DOE. That brings the total equity raised to $260 million. Atonometrics of Austin, Texas, a developer of test and measurement equipment for the PV equipment industry, raised $1.7 million in a funding round from undisclosed investors. 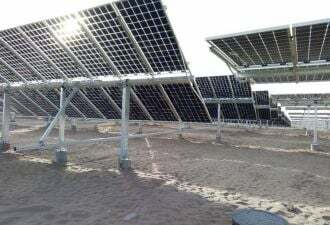 The firm is developing equipment for high-volume PV module reliability testing. 1366 Technologies of Lexington, MA added $6 million to its now $26 million round B from Hanwha Chemical, Ventizz Capital Fund, North Bridge Venture Partners and Polaris Venture Partners. The startup develops silicon wafer optimization technology and has taken more than $37 million in VC funding. GreenVolts, a CPV aspirant, raised $7.5 million in debt in August with a revised ground-mount tracker design. According to the SEC filing, unearthed by Earth2Tech, the CPV startup has closed on $22 million of a $38 million round. It's difficult to discern this startup's competitive advantage in the niche CPV space, confronted as it is by companies like Amonix, SolFocus and Concentrix with actual sales traction. France's MPO Energy raised $5.3 million from MPO International and Demeter Partners for French-based high-efficiency silicon PV cell production. Engensa secured a $3.1 million investment from Albion Ventures for U.K.-based solar installations. Belgian solar startup Ducatt raised $26.7 million from Capricorn Cleantech Fund and LRM for specialty glass for PV. Intevac (Nasdaq:IVAC) acquired Solar Implant Technologies. SIT has developed a compact ion implant module to provide improved doping of silicon photovoltaic cells. Smart grid and power electronics startup Varentec was quietly added to the Khosla Ventures portfolio. The firm, based in North Andover, Massachusetts, recently won a $2.28 million DOE award "to conduct research and development on a wide range of next-generation power electronics devices to better integrate renewable resources. Using an innovative circuit design with an integrated battery energy storage system, the project's goal is to deliver a fast response to rapid voltage changes arising from grid-connected renewable resources." This builds on Mr. Khosla's recent thesis that the smart grid is about power electronics more than smart dishwashers. While we're at it, here's what he had to say about corn ethanol subsidies and thin film solar. OPower, the home energy-efficiency startup, closed on their round C with $50 million led by two of Silicon Valley's premier VC firms -- Kleiner Perkins and Accel Partners, along with New Enterprise Associates. OPower is focused on customer engagement and behavior modification, and is currently providing tens of thousands of homes with in-home energy data and efficiency advice via paper reports or online. The platform is described as advanced customer engagement. Soladigm raised a $30 million round C for energy-efficient “dynamic glass" with funding from DBL Investors, Nano Dimension, GE Energy Financial Services, Khosla Ventures and Sigma Partners. A total of $57 million in VC has been put into the company. The state of Mississippi has also loaned the firm $40 million and given it a $4 million grant. Electrochromic windows allow building owners to turn down air conditioners and save energy on hot days by tinting the windows and blocking solar heat. Racktivity has designed a platform for monitoring data center power consumption and has raised $8 million in a second round led by Partech International with existing investor Big Bang Ventures, bringing the total raised to $10 million to date. The firm has deployed its software in Europe and will come to the U.S. in the first quarter of next year. Grid2Home of San Diego, CA, a developer of specialized software for two-way data communications in smart grid applications, raised $400,000 in seed funding from Granite Ventures. China-based THT Heat Transfer Technology raised $14.3 million, in a deal that gave the company a pre-money valuation of $51.2 million (according to Venture Wire). Infinity Group led the round with MC Capital, et al. The firm designs and manufactures heat exchangers used to improve energy efficiency in a variety of applications. EnergyHub raised $7 million of a $12 million round from .406 Ventures and Physic Ventures for its home energy management product line. Stuttgart, Germany-based PE International, a provider of sustainability management software and consulting services, raised $10.8 million from Siemens Venture Capital and Gimv. PE International's clients include Allianz, Bayer, Daimler, Carnival, Deutsche Post DHL, Kraft Foods, Rockwool, Siemens, Toyota, ThyssenKrupp and Volkswagen. ATT acquired Xanboo, a remote home energy and security management platform. OpTerra Energy Group acquired demand response specialist Energy Control. Asais, an established French company that makes software for managing grid and utility data, is now part of Itron. ABB, the Swedish/Swiss conglomerate, is buying Insert Key Solutions, which specializes in asset management and control software for power plants and utilities. The intellectual property of IKS will complement its $1 billion purchase of Ventyx in May. With the software from these two companies and its own software, ABB hopes to build a portfolio of services that can monitor or manage power distribution and consumption from central utility offices to the home. ABB has become one of the powerhouses of the smart grid along with Siemens, General Electric and Schneider Electric. Last week, ABB spent $4.2 billion on Baldor Electric Company, which makes efficient electric motors. In September, it invested in Power Assure, which makes software for managing computing loads and curbing energy in data centers. Ventyx, Baldor, Insert Key and Power Assure are all U.S.-based companies. Demand response player EnerNoc is on the move, as well. It bought Global Energy Partners, which specializes in demand response services. With the acquisition, EnerNoc can now set about building a nationwide demand response network. EnerNoc has bought nine companies, including Cogent Energy (building management) and eQuilibrium Solutions (carbon accounting), SmallFoot, MDEnergy, and South River Consulting. Last week, the company announced it was going to work on a smart city project in London, marking its foray into international markets. China-based recycling firm Niutech Energy raised $1.7 million from existing shareholder Origo Partners. Niutech is working with Zhejiang Youbang Energy Development to launch a plastic-to-fuel recycling operation in Zhejiang province. The firm also recycles waste tires. MicroGreen Polymers of Arlington, WA, a developer or plastic recycling technology, raised $2.7 million from WRF Capital, Northwest Energy Angels and Waste Management (NYSE: WM) after raising $6.9 million in May of this year. Europe's Zonzoo Group is a phone recycler that won $2 million in funding from Cleantech Invest. Lattice Power won $55.5 million in new financing led by IFC, a member of the World Bank Group for its silicon based GaN LED technology with applications in backlighting, display and general illumination. GSR Ventures, Mayfield Fund, AsiaVest Partners, Keytone Ventures, and Temasek Holding also invested. Azzurro, a gallium nitride semiconductor firm based in Germany closed a $19.1M round from Emerald Technology Ventures, Wellington Partners, Good Energies, Cedrus Private Equity and IBG Innovationsfonds. Azzurro's gallium nitride (GaN) epi wafers on large-area silicon substrates are used in the power electronics industry and lighting industry to manufacture high-brightness LEDs. Typically, GaN has used sapphire-based substrates rather than silicon. Encelium, building lighting controls for commercial buildings, raised an $11 million round C from Siemens Venture Capital and Townsend Ventures. Fallbrook Technologies, which builds innovative transmissions for engine and human-powered devices, raised $39 million in a round E from Macquarie Capital Markets Canada, Sustainable Asset Management, Ningbo Shentong Auto Decorations, NGEN Partners, Robeco, and CIBC World Markets. This brings Fallbrook's cumulative financing to approximately $95 million since 2000. The firm registered for an IPO earlier this year. Diverse Energy, a U.K.-based firm that builds low-carbon power generators for 'off-grid' mobile telecommunications towers, raised $3.1 million from Octopus Investments. The ammonia-based generators replace diesel-fueled generators. Greengate Power of Calgary, Alberta, a developer of wind power technology, raised $5.8 million from Jacob Securities, NGEN Partners, SAM Private Equity and TD Securities. Rive Technology raised $25 million in a round C led by the Blackstone Group with Charles River Ventures, Advanced Technology Ventures and Nth Power. The Cambridge, Mass.-based firm has raised a total of $47 million to date. Rive’s catalyst technology, based on research done at MIT, is used in chemical reactions performed on long-chain hydrocarbon molecules that potentially enables refiners to squeeze more fuel out of a barrel of crude oil. Although the firm is arguably a greentech company, this technology can nevertheless improve the efficiency of oil refining. Applications also exist in biofuels. U.K.-based Bladon Jets, which develops micro gas turbine engines for cars, raised $788,500 from Oxford Investment Opportunity Network. Bladon Jets is working with Jaguar Land Rover to develop a micro gas turbine engine for a plug-in hybrid vehicle. Elevance Renewable Sciences, a Bolingbrook, Ill.-based maker of specialty chemicals from natural oils for personal care products and fuel markets, raised $100 million in a round C. Naxos Capital Partners led the round with Total Energy Ventures International, TPG Biotech and TPG Growth. Sunnyvale, Calif.-based Cambrios Technologies, raised $2.5 million of a planned $15 million round of equity and debt financing. Previous investors include ARCH Venture Partners, Alloy Ventures, Oxford Bioscience Partners, Altitude Life Science Ventures, Presidio Ventures, Mitsubishi UFJ Capital, In-Q-Tel, Avalon Ventures, Lux Capital, and Headland Ventures. The firm develops nanotech processes with applications in solar and lighting. LS9, a San Carlos, Calif.-based developer of hydrocarbon biofuels and chemicals, raised a $30 million round D led by BlackRock with Flagship Ventures, Khosla Ventures, Lightspeed Venture Partners and CTTV Investments. The firm's previous round was $45 million. TK Energi, a biomass gasifier firm, received $2.6 million from the Danish Growth Fund. Blue Spark Technologies, an Ohio-based company that makes printed batteries for flexible electronics, received a $5 million round B from Early Stage Partners, SunBridge Partners et al. ZipCar, arguably a greentech firm, is a car sharing service based in Cambridge, MA that raised a $21 million round G from Meritech Capital Partners and Pinnacle Ventures. BluEarth Renewables of Calgary, AB, Canada, a provider of hydro, wind and solar power projects in North America, raised $75 million from the Ontario Teacher's Pension Plan. UPC Renewables China, with 150 megawatts of wind projects and a 7-gigawatt pipeline, received $50 million from Macquarie Bank and Deutsche Bank Masdar Clean Tech Fund.